We’re very proud to announce that Radio Veritas production assistant and presenter Sheila Pires has been invited to the 2018 Catholic Women Speak (CWS) Symposium and book launch in Rome. She leaves for Rome on Saturday, September 29th. The aim of the symposium is to bring the voices and experiences of young women from the global Catholic Church (Latin America, Africa, Europe, Asia, and North America) to the Synod on Young People, The Faith, and Vocational Discernment through the launch of their new book entitled ‘Visions and Vocations’ edited by Professor Tina Beattie. It all started back in 2014, when Sheila proposed a current affairs programme that would look at the work of the Catholic Church throughout Africa and also gender inequality, including a weekly women’s feature on Thursdays. 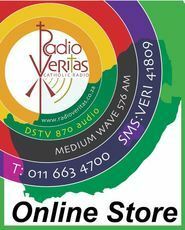 Thus ‘Catholic View’ was born and it broadcasts every Tuesday to Friday at 18h30 on Radio Veritas South Africa. In 2015 Ms Pires came across an article about ‘CWS’ which mentioned the well-known theologian, and St Augustine’s College lecturer, Dr Nontando Hadebe. 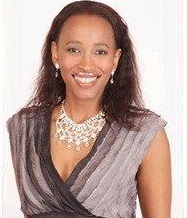 One interview with Dr Hadebe led to a series of interviews for the Women’s feature on ‘Catholic View’. In 2018 member and book contributor of CWS Dr Radebe made the exciting and unexpected announcement – that Ms Pires had been selected to attend the 2018 CWS Symposium and book launch in Rome on October 1st. Later, the founder of CWS Professor Tina Beattie invited Sheila to introduce and chair a roundtable discussion entitled ‘Sharing our Stories: Cultures and Catholicism’, also making her a member of CWS. The conference which starts on September 30th to 05th October, comprises of a number of activities, including a session of filmed interviews with some of the participants conducted by Tina Beattie and Sheila Pires on October 02nd, and attending Pope Francis’ general audience on Wednesday 03rd October. CWS member and Radio Veritas presenter Dr Nontando Hadebe will also take part in a roundtable discussion entitled "Reflections in a Time of Crisis - power, abuse and sexuality, followed by a performance: "The Three-Legged Cooking Pot - Culture, Catholicism and Women's Rights". According to Dr Radebe, among the reasons Sheila was selected was her critical approach in raising contemporary and controversial issues related to Women, Youth and African Politics in her programmes on Radio Veritas South Africa. Sheila says she is thrilled at being given this wonderful opportunity and also sees it as a chance to market Radio Veritas to a wider audience. While she’s extremely grateful to both Catholic Women Speak and Dr Nontando Hadebe, above all she’s grateful to God. Whilst in Rome Sheila will be covering the first week of the Bishop’s Synod on Young People and providing daily reports on Radio Veritas breakfast programme “Matins” presented by Khanya Litabe and Colin York. Have a wonderful time Sheila – we’re proud of you!! For the past five years I have had a neurological condition called CIDP. I have no feeling in my arms and legs and can no longer write, type, drive or easily use knife and fork. I cannot stand or do much without the help of two nurses who are really wonderful in this frail care of the Dominican sisters at St Mary’s in Hyde Park. I need to have a five-day infusion of Octagam as soon as possible but unfortunately, there is no Octagam available in the country at present. The hope is that this will get some strength back into my body. In addition to this condition, I was hospitalised for two months during which time I was diagnosed with a very rare bone marrow condition called Amyloid Lamda which affects the immune system and in my case my kidneys. It is very likely that this is the origin of the CIDP. The recommended medication is a light chemotherapy even though it is not cancer or malignant. I am extremely grateful to the doctors for their encouragement and service and to the many thousands of people who have assured me of their prayers at this very difficult time in my life. I am confident that I shall walk again. But for now, I’m afraid I am wheelchair-bound. I always enjoy visits from people so if ever you are in this area it will be wonderful to see you. (81 1st Road, Hyde Park). Meanwhile, please keep me in your prayers. This is an ongoing concern. We are very grateful to the almost 2000 people who support us on a monthly basis. However, this number needs to increase dramatically so that we can cover our monthly costs of approximately 500,000 Rand. Donations are always very welcome and we are grateful and pray for our donors. In particular we are grateful to some large donors who prefer to be anonymous. 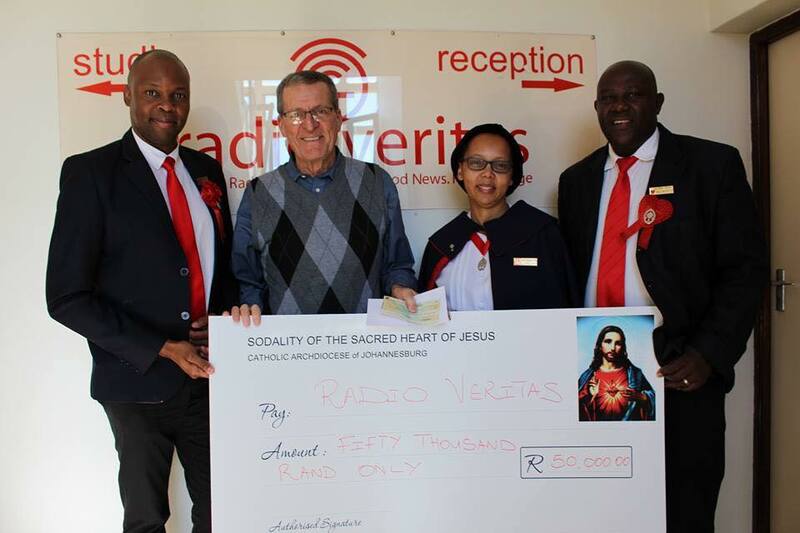 However, in recent months we have been blessed with donations from the Catholic women’s Association in Pretoria (R 15,000), Sacred Heart Sodality Johannesburg (R 50,000) (at right) and Lenten Appeal (R 500,000). However, don’t let these figures numb you in thinking ‘okay, they seem to have enough money!” Remember your debit order of whatever amount will go a long way in helping us. Father Emil’s dream has been to find another 2000 donors. You could make that happen. This is a project of Radio Veritas and St Augustine’s Catholic University. 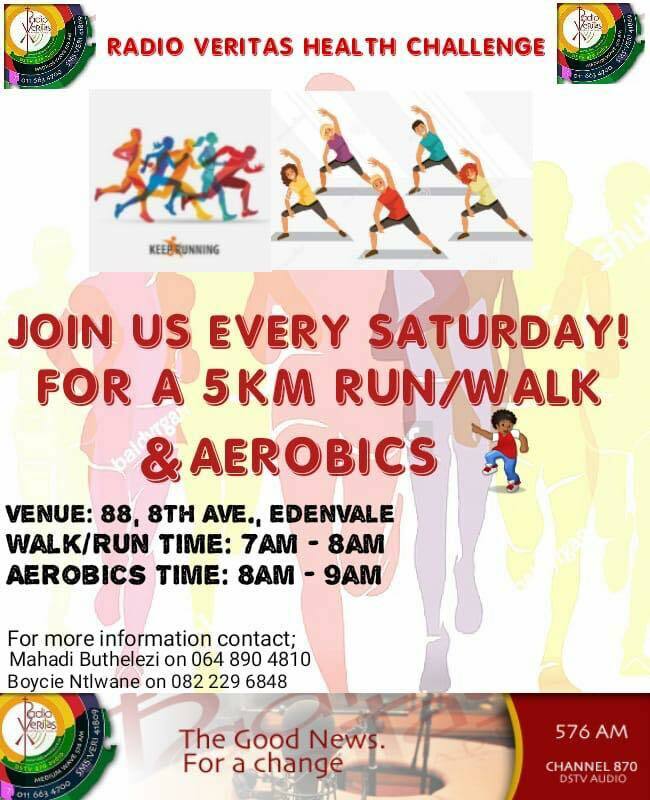 The aim is to find 6000 people who would make an annual contribution of R 1000 for three years. Both Catholic institutions are desperately in need of money with St Augustine’s needing much more than radio Veritas. The money will be divided on a 4:2 basis which will be a lifesaver for both institutions. The project has been somewhat slow in developing and we hope that you will use the electronic facility on our website to join Club 6000 with your generous annual contribution. Just follow the instructions and the deduction will be made automatically from your bank account. Be assured that the transaction will be completely secure. Please tell your friends about this club and get them to join. 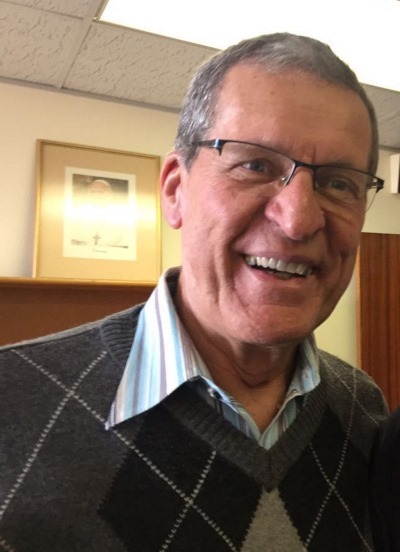 We believe, even in these difficult economic times, that there are thousands of people in the country who could make a contribution to support this cause of evangelisation with the donation of R1000. On practically any evening restaurants are full and it is no exaggeration to say that most tables would be spending approximately that amount of money. Our plea is that you consider a contribution to the work of evangelisation through our two institutions. Visitors to Radio Veritas will notice that the entrance, parking area, toilets and lobby have been refurbished to bring our building up-to-date for the next 10 years! This has all been done through the kind financial assistance of the Knights of da Gama with whom we own the building. The Knights and ourselves have developed a good and healthy relationship over the years and we are grateful to them for this collaboration. Congratulations to Men in Christ who celebrated the first anniversary of their show on 6 September. This is a group of truly committed Catholic men who are very active in their parishes and present a weekly show on Wednesday evenings from 7 to 9. They have been a blessing not just in their programme but have come to our assistance in many other ways when we needed anything. We pray that the Lord bless their work and programmes for many years. We’d like to take this opportunity to thank all our volunteer presenters and contributors to various shows. You are a blessing and gift not only to the station but to all our listeners and the Church. May God bless you for your generosity and commitment. 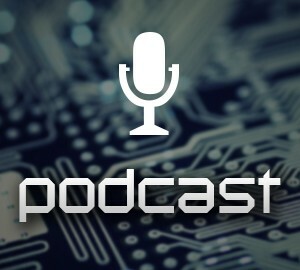 Listen out for our exciting new shows. 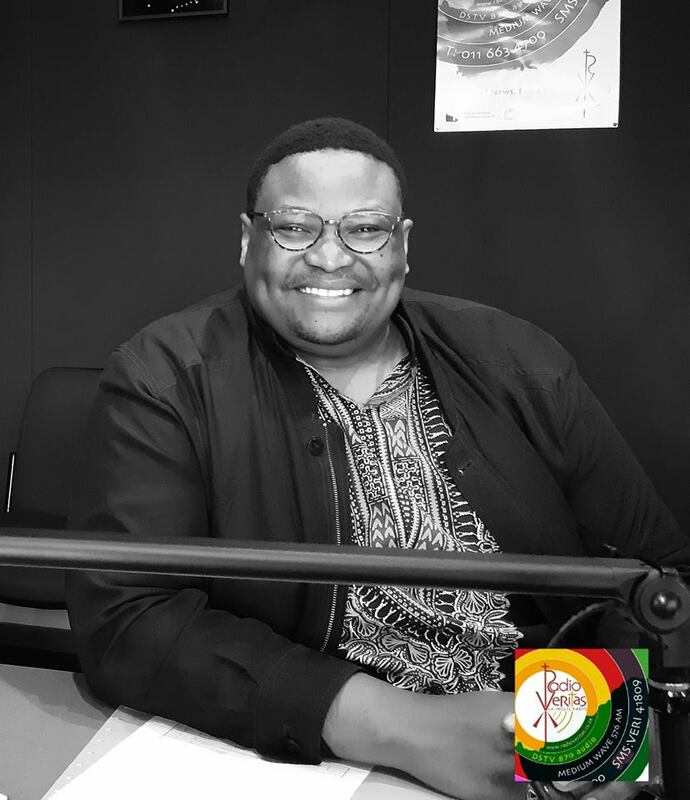 Mustard Seeds, a Catholic young adult show presented by Kananelo Mapoko every Tuesday evening at 19h00; Pearls Before Nine presented by Graeme and Oriella van der Walt on Tuesday evening at 20h00; Arts Edition with Fr Lawrence Ndlovu (right) on Friday morning at 09h00; Emthonjeni presented by Siphiwe Moloi has moved from Saturday 11h00-12h00 to Saturday 09h00-11h00. Soothing Melodies, a Choral music programme on Sundays at 14h00-16h00 with Fr Thabo Mothiba OMI and Thula Ndlovu. 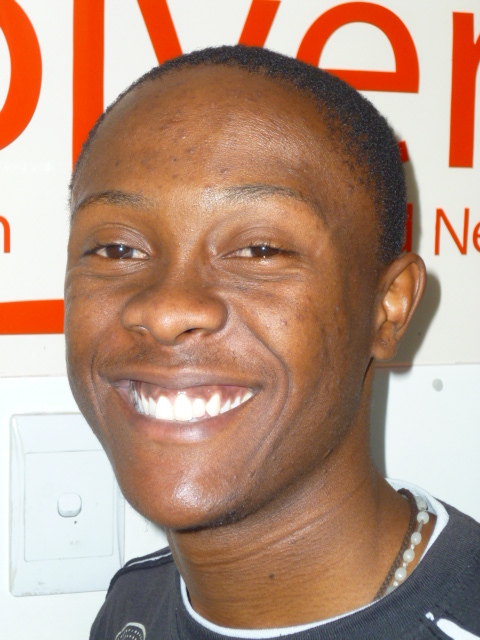 It was the late Benjamin Mophatlane, who provided us with a flight ready outdoor mobile unit. The Diocese of Munich very generously provided us with a vehicle, a Volkswagen Caddy. With these we have been to many outside locations from where we have done live broadcasts. In the beginning we had teething problems but we have mastered these and can now bring you crystal clear broadcasts from really anywhere in the country. For example, we did live broadcasts of the funeral of Bishop Barry Wood and the Episcopal ordination of Bishop Duncan Tsoke. We would like to extend these live broadcasts to various parishes and church functions. Do not hesitate to contact us for a live broadcast of functions in your parish or diocese, especially if these have an historic value. For obvious reasons, we would appreciate a financial contribution to cover essential costs. Our financial Administration is efficiently cared for by Genni Rogers and Lucia Zwane. Before the annual audit, the books are checked by Zeno Zambri and then sent to Herbert and Liebisch for the official annual audit after which audited statements are approved by the Board of Trustees. We are grateful to our auditors who do the annual audit free of charge. So our donors can be quite sure that their donations are carefully recorded and responsibly used. As you might know, Radio Veritas operates under the auspices of the Dominican Order. Every year, as with parishes served by various religious orders, an annual collection is taken up for the support of young brothers’ formation and the care of the elderly. Usually, on Radio Veritas we invite people to make donations. Unfortunately this year, due to the illness of Father Emil, this was not done. 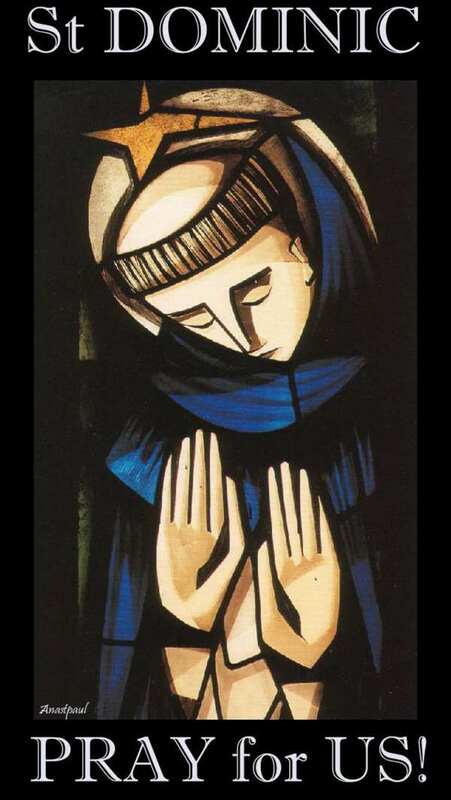 However, if you would nevertheless like to make a donation, please feel free to do so by sending your donation to Radio Veritas with the reference Dominican Order. 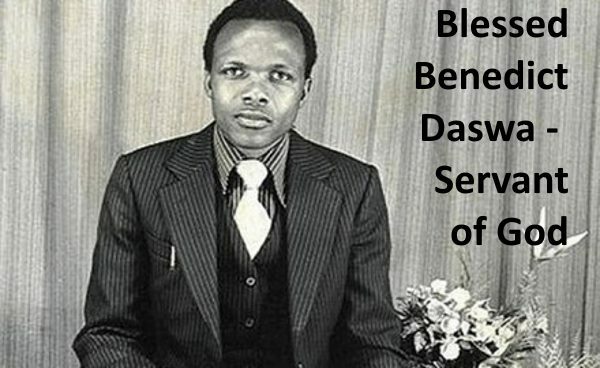 As a matter of interest, it costs approximately R 100,000 per year per student and we have 16 students in training, five of whom are deacons awaiting ordination to the priesthood in the next year.